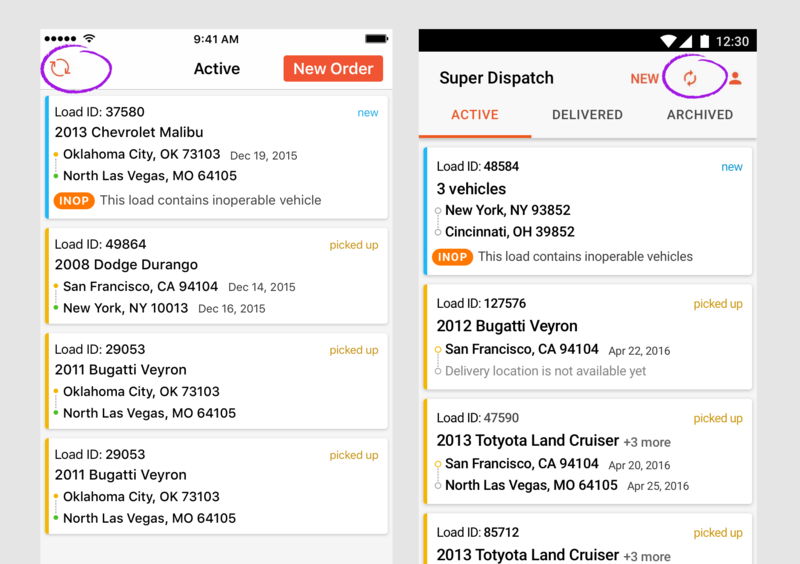 Note: before changing an order status in the dashboard a driver must sync all inspections (photos, damages, attachments) with Super Dispatch. Otherwise, they will not be saved to Super Dispatch and we cannot restore those inspections. 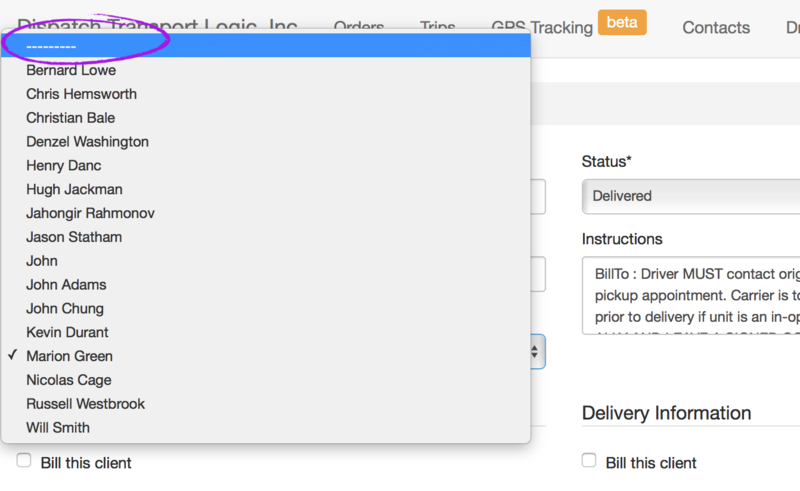 Find the order and click the "Edit" button within the order you wish to change. 2. Click the Status drop down menu. 3. Choose its new desired status. 4. 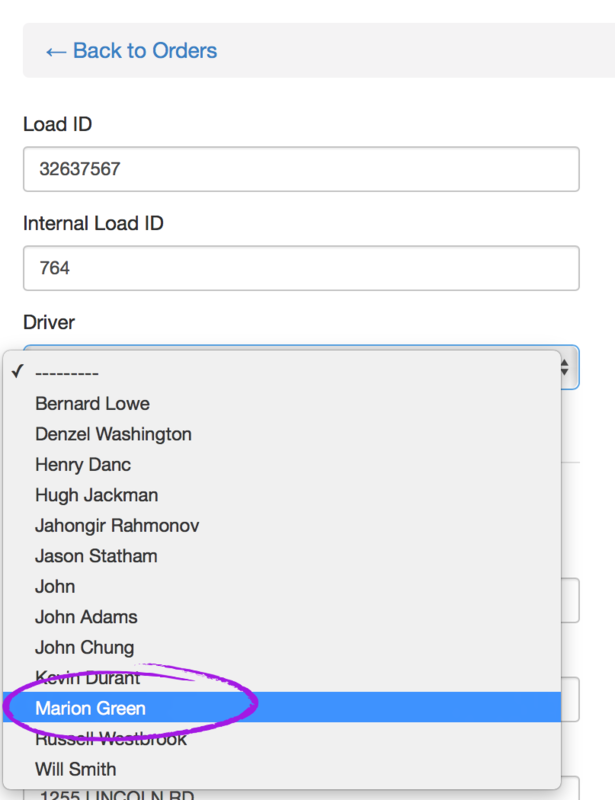 From the Driver drop down menu, choose the "-----------" to unassign. 5. Click the BLUE Save Order button. 6. After unassigning the order from the driver, the driver must Refresh the app. After refreshing the app, the order will disappear from the app. If everything done correctly, the order will be removed from the driver's mobile App. 8. And save the order by clicking the BLUE Save Order button. The Driver has to refresh their App to reflect these changes. If everything done correctly, the order will be appeared on the driver's mobile App.